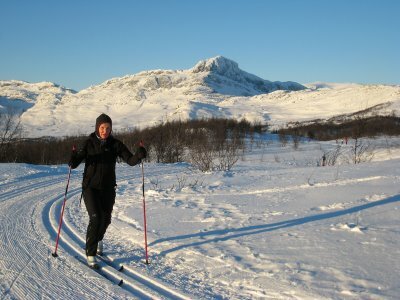 This year Elvira and I went to Beitostølen, Norway to celebrate New Year while nordic / cross country skiing with our 4 month old baby Sofie. We were extremely lucky with the weather and thus enjoyed 5 days of skiing in almost perfect conditions in the beautiful scenery below and above the tree line. 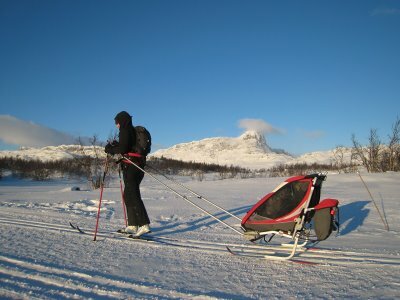 Coming back today we already met people asking the question "Is is possible to ski with such a young baby!?". 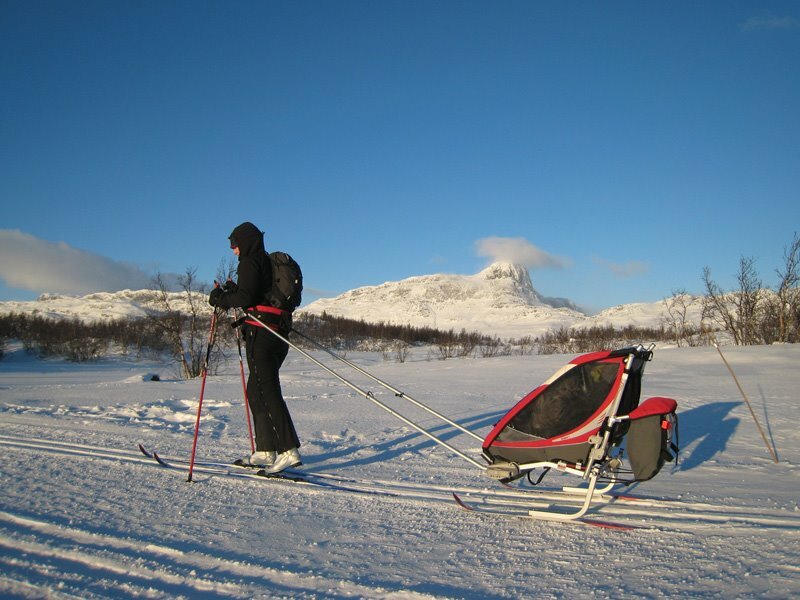 Well, the answer is YES, although you obviously have to be a good skier and take extra precautions to keep the baby warm. That said, all babies I have heard of love staying in a ski pulk / sledge and will sleep deeply for hours - the sound of the skis going through the snow is better than any nursery rhyme! 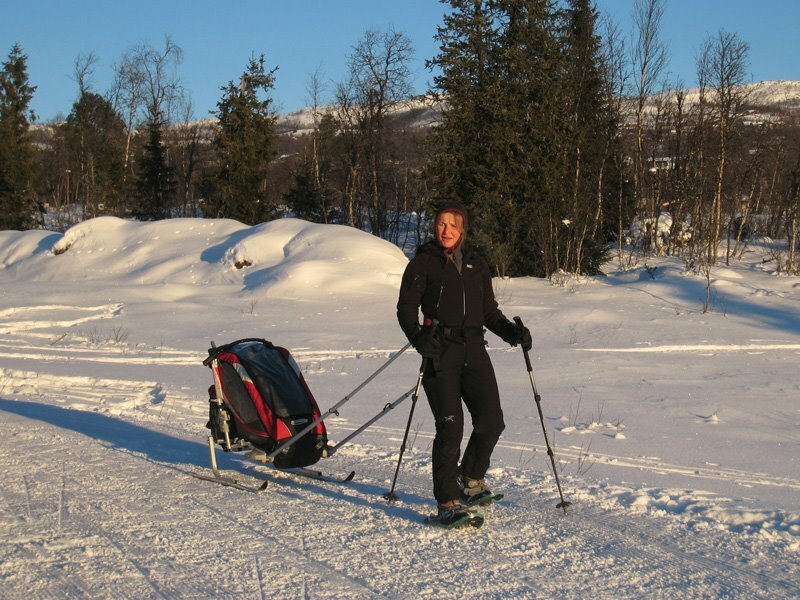 Elvira pulling our Cougar 1 Chariot fitted with the XC Ski Kit. The Chariot is lifted above the ground and the interior is thus warmer than a pulk. 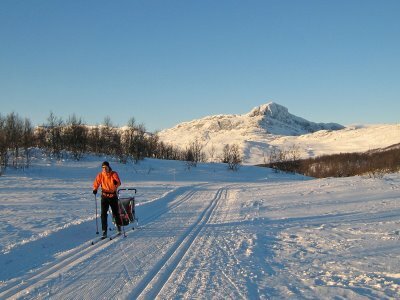 The skis offer less resistance than a pulk (in most snow conditions) and is thus easier to pull. You can easily put the wheels back on the Chariot and then use it in the evening as a trolley. The cabin is wind-proof and thus offers better protection than a pulk - in particular when the baby/child is awake and wants to look out. The Chariot is higher than a pulk and thus much more prone to catch side wind and potentially tip over (happened to me once by a strong wind gust which was NOT a nice experience). 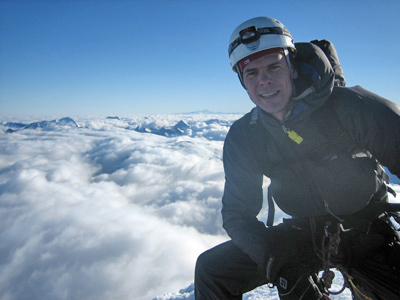 The author pulling the Chariot with the prominent peak "Bitihorn" (1607 m) in the background. Family picture with Sofie hiding in the Chariot. 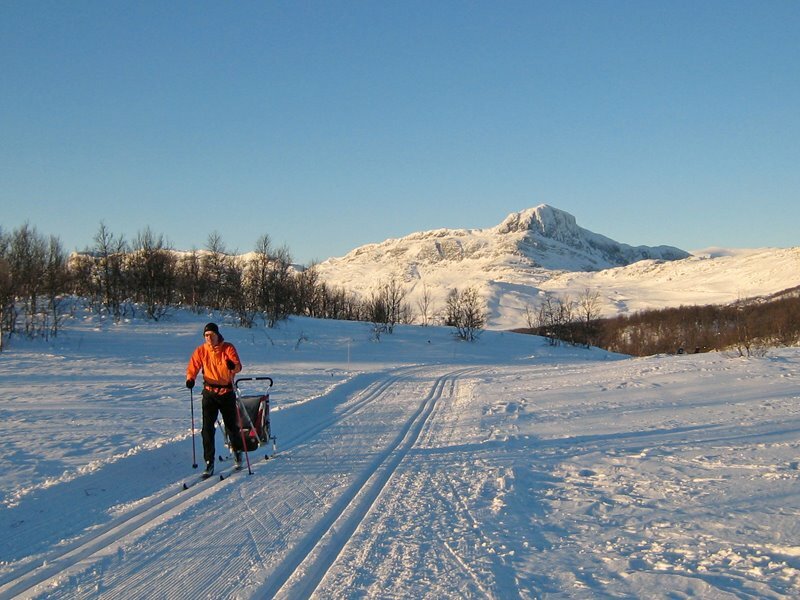 The Chariot XC Ski kit can obviously also be used for snowshoeing which we did on our last day. A video of the beautiful surroundings. A video of me skiing with the Chariot. 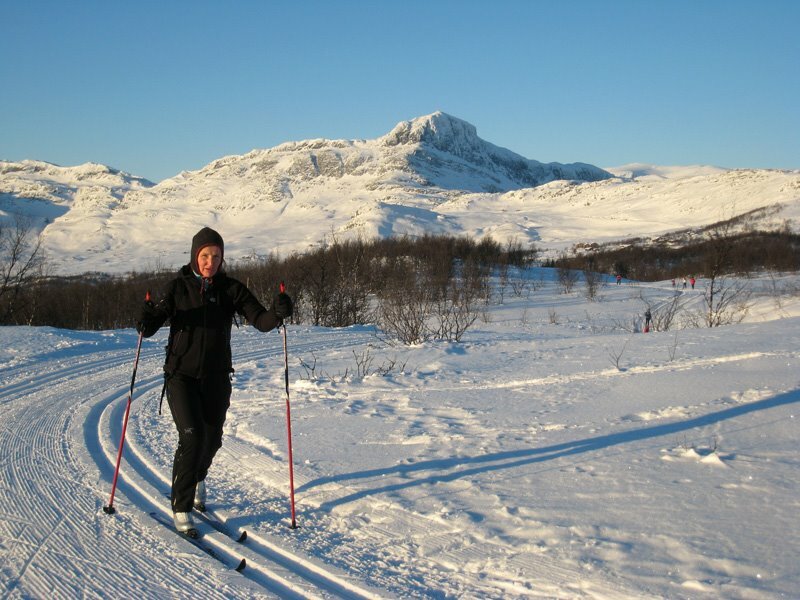 On our third day Elvira took a rest day while I skied one of the longest trails to the foot of Bitihorn. It was a windy day which kept most people away from this wind exposed route and I thus had a great adventure with little baby bunting sleeping soundly in the Chariot.